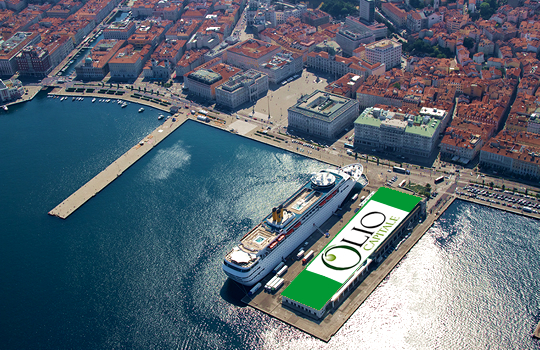 Welcome to Olio Capitale, 10th top quality extra-virgin olive oil expo 2016 took place in 5-8 March Trieste, Italy. Olio Capitale, the most important Italian fair dedicated to quality Extra virgin olive oil, set to take place from March 5th to 8th 2016 in Trieste, Italy, in the magnificent location of the Stazione Marittima. 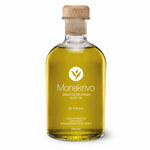 During a year in which olive oil production is again picking up, the tenth edition of the Italian fair devoted to typical and quality extra virgin olive oils, organized by Aries, the Special Agency of the Chamber of Commerce of Trieste, in collaboration with the National Association Città dell’Olio and the Commanderie des Cordons Bleus de France, promotes EVO oil productions of excellence. After the success of the past edition, which has seen over 12 thousand visitors from 33 countries, the 2016 edition is set to welcome more than 300 producers from all Italian olive growing regions, along with Greece and Croatia. Hundreds of labels will be on show, along with business meetings between exhibitors and foreign buyers and many collateral events aimed at involving and training the general public with short tasting courses and lessons at the Olio Capitale Cooking School. All this in the heart of Trieste, a few steps from the main square of Piazza dell’Unità d’Italia, a suggestive location surrounded by the sea. Olio Capitale 2016 further focuses its attention on business and internationalization, in order to meet with even more precision the needs of professional operators, facilitating direct contact with producers. In 2016, more than 300 extra virgin olive oil producers from all Italian territories on show in Trieste as well as Croatia and Greece. Professional visitors from 33 countries. 13.500 attendees, + 13% on previous edition.